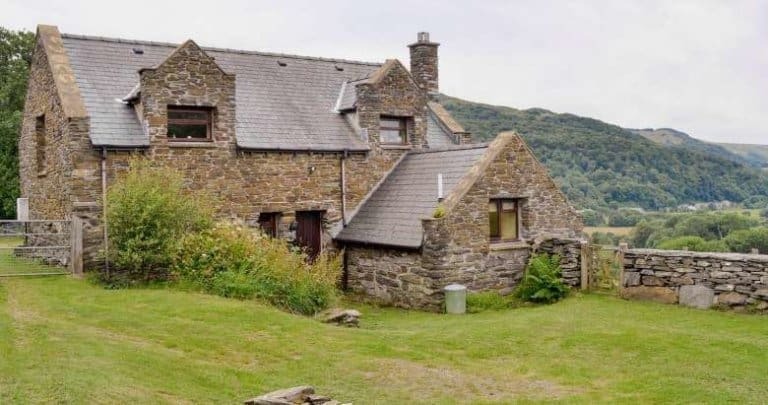 Browse our selection of holiday cottages to rent in North Wales, including Anglesey, The Llyn Peninsula and Snowdonia. Sleeps 5. This comfortable and spacious detached barn conversion is set within the glorious Snowdonia National Park. Sympathetically converted, it stands in half-acre gardens and enjoys a beautiful setting overlooking the estuary, sea and mountains. Cottage Code: OJC. Sleeps 5. This farm cottage, dating from 1800, has been completely renovated, combining old charm with modern comforts. Part of a working farm, this peaceful holiday retreat enjoys splendid scenery, yet is only 3 miles from Betws-y-Coed. Cottage Code: JMS.